We'll help you grow your greenhouse business. 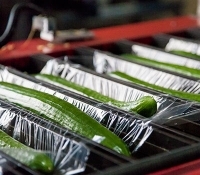 From propagation to crate, we can help automate and optimze your entire greenhouse operation using proven technology. The World's Best Climate Control... at Your Fingertips. Priva is the industry leader for automating and integrating greenhouse controls for efficient growing practices. Select & ship only the best quality to your customers. With Aweta sorting, grading and packing solutions, you can maximize quality control management for your soft fruits and vegetable crops. Our Team Is Your Team 24/7. The Plantech Service Team offers unparalleled support for our greenhouse clients, with remote technicians available 7 days a week. Providing Full-Spectrum Integrated Greenhouse Solutions for 40+ Years. Our Ontario-based business is your one-stop 'shop' for all your greenhouse automation needs, including electrical, sorting, ventilation, water management, spraying and logistics. Automation to link and control all of the processes and systems in your greenhouse. Licensed and trained to provide complete greenhouse electrical installations and service. 24/7 parts and maintenance critical to the successful on-going operation of your greenhouse. Greenhouse automation is our specialty. For over 40 years, Plantech Control Systems has been a leader in the area of greenhouse electrical systems, controls and automation. Plantech is primarily an electrical contractor specializing in the greenhouse automation industry, licensed and trained to provide complete electrical installations and service for any commercial facility. Why Work With Plantech Control Systems? Plantech is the only company in North America to provide full-spectrum, vertically integrated greenhouse automation solutions in-house. From strategic planning to electrical design and installation, out team can provide the expertise required for a smooth transition from start to finish.